This article first appeared in November 1998. Questions were gathered from All About Jazz Bulletin Board members. Did you or do you now have a daily structure to your guitar practice? If so, how do you structure the different possible topics? JH: My practice since time is limitedis usually very specific (e.g. the pieces I'm currently performing), and includes "speed improvement" and "ear-stretching" stuffwhatever that means to you. Do you have any tips for accompanying another instrument, like you did for Paul Desmond? Any common faults that you hear with beginning players? Several times I've heard instrumentalists prefer a piano backing them up to guitar. Is there something we can learn from how a good pianist comps? You worked with the best, Bill Evans. Did you learn anything from him about this? 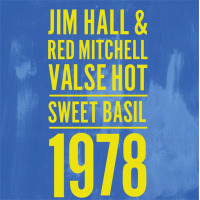 JH: From Bill Evans I learned to use simple easily moveable chord voicings, often without the root (especially with a bassist!) and sometimes ambiguous (4ths, etc.) so as to not box in the soloist. Most important is listening to and enhancing what the soloist is doing. I was very gratified to read in your biography that you actually name one of your former guitar teachers. I've seen all too many times when a student finally makes it, no mention is made of his teacher unless the teacher is very famous. Is Fred Sharp still around teaching? JH: Fred Sharp and I are still in touch. He lives in Sarasota, Florida and is playing quite a bit. I love the warm and rich core to your sound. What did you do by way of equipment, strings, etc. to get this sound? JH: I guess thick strings can get a big sound, but they also tend to sound "bangy". I use very thin strings - almost like a "rocker"and try to draw the sound out by playing easily with as few pick-strokes as possible except for accents, etc. From: Willie K. Yee, M.D. You are now immortalized in cyberspace. Are you aware that some nut (that would be me) has put up a Web page dedicated to you? JH: No, I'm not, but thanks for warning me. You have made many contributions to the evolution of jazz. What do you feel your most important contribution has been? JH: I had no idea that I'd had made a contribution (yet). I do, however, feel very privileged being a musician and my plan is to keep getting better at it. 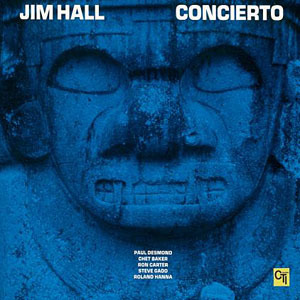 The sound of your guitar on Concierto has always been the quintessential jazz guitar tone. What were you playing, and how do you get such a fat tone? 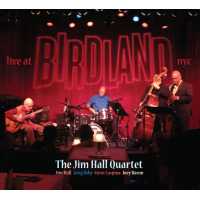 JH: Rudy Van Gelder (the engineer) is really responsible for capturing our sounds on Concierto. I was using a Gibson GA-50 Tube Amplifier. My guitar was either a D'Agusto (with pick-up) or a Gibson "ES-175". I also used very light, flat-wound strings. 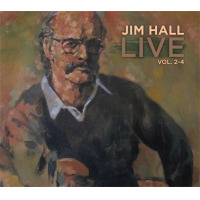 Jim Hall Live is one of my very favorite jazz guitar recordings. Are there any plans to release it on CD? Is there anything that your fans can do to expedite the process? John also has more unreleased stuff from those recordings. You are famous for your accompaniment style, especially in your duet albums with Bill Evans and your quartet work with Sonny Rollins. Rather than traditional guitar comping, you used a mix of muted chords, single-line counterpoint, and unusual chords voiced with open strings. Can you talk a little about the development of your style, and the differences in playing with Bill Evans in a duet setting and with the piano-less Rollins Quartets? JH: In any musical situation the way for me is listening and reacting; staying alert to the overall texture and mood and enhancing it. Rather than a "style," I feel I have an accompanying approach - one of making things better by keeping the texture clean and the motion alive. No matter whom I'm playing with. What would be your advice to a talented high school senior jazz guitarist who is also a very good studentto pursue a music degree at a very good university and then grad work in, say, jazz studiesor, go straight to a strong jazz guitar program which likely won't have the academic strength to offer? This choice is staring me in the face and I don't know which way will be best in the long run. JH: This is a most important question and I would also ask others about it. What really helped me immensely was my 5 years at the Cleveland Institute of Music where there was no guitar or jazz curriculum. Studying theory, counterpoint, composition, music history, etc. really turned me into a "musician". I played the guitar anyway. That was my way; maybe it would work for you too. Good luck!